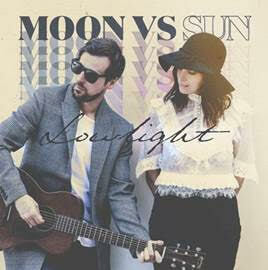 Have you heard the new release “Lowlight” from Chantal Kreviazuk and Our Lady Peace frontman Raine Maida? Released today with a video coming soon, the couple (Moon vs Sun) have recorded a new album I’m Going to Break Your Heart (Music from the Motion Picture). Not only do I love the title, but the song makes me happy. It has an upbeat “road trip” vibe and her voice sounds amazing! I also like the Fleetwood Mac feel of the cover. The couple’s debut album – I’m Going to Break Your Heart (Music from the Motion Picture). The two artists have a documentary I’m Going to Break Your Heart coming out soon. The album and documentary focus on the couple, their relationship challenges, and how they found their way back to each other. The documentary and album are described by Warner Music Canada as “the true story of rediscovering love through creativity, in which music plays the lead role.” I love it. The album will be released on March 1st. Pre-orders for the album will begin February 15th. Perfect for Valentine’s Day. Well done fellow Canadians.